Texas is all about great experiences, but it is hard to go out and enjoy all there is around Galena Park and the Houston area if your need garage door repair so you can access your vehicles. Action Garage Door is ready to help you get out of the house and into the wilds with our outstanding emergency repair services and scheduled garage repairs. Let us fix your springs, openers, or replace your entire door. 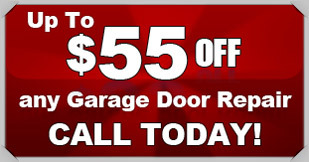 When you need any garage door repair Galena Park, call Action Garage Door! No matter what kind of garage door you have or what kinds of repairs you need, Action Garage Door has the experience and tools to help you out. We will gladly perform scheduled garage door maintenance to make sure your door is in tip-top working condition, as well as emergency repairs, and complete system installations. Trust us for all your garage-related project or problems. Not only are our services reliable, but we are also familiar with all of the Houston building requirements for garage door use and installation. If you can’t decide which door you would like, check out our door-builder tool and compare several different options and even create your own custom look. To make an appointment with an experienced Action Garage Door professional, call or fill out the online form as soon as possible. We will make getting your garage door repair appointment priority so that you can get on with your work or set out for a fun weekend enjoying the Texas sun. Trust a company that has been a part of your community for more than 30 years, and allow us help make your garage door beautiful and run smoothly.